The Online Jewish Academy (OJA) offers students who have struggled or been turned away from Jewish schools the opportunity to be a part of campus life, while participating in an academic program that is customized to meet their needs. At the heart of the program is a new educational model called blended learning, which combines personalized, online instruction and traditional in-class learning. It incorporates new techniques such as the “flipped classroom,” and project-based learning that are quickly becoming commonplace at high schools around the country. Blended learning works well for almost any student, but for students with learning differences in particular, the benefits can be immeasurable. Whether a student is gifted in certain areas or struggles with learning disabilities (or both), it can be difficult to succeed in a traditional classroom. The problem is exacerbated at Jewish schools, which require Hebrew and Jewish Studies on top of a rigorous General Studies curriculum. For these students, the personalized instruction and pace, enhanced with adaptive and assistive technologies, make a dramatic difference. Students take a combination of traditional courses and OJA’s flexible online/blended courses that adjust themselves to each student’s interests, pace, learning style, strengths and weaknesses. Students advance ahead and receive enrichment in subjects in which they have a particular interest or excel, and can go back and work on the skills or content they struggle with. Students work together with teachers, learning specialists and their peers to hone and apply their learning to meaningful problems and real world projects. Courses focus not just on content, but on the 21st century skills that students need and on meaningful understanding and application. 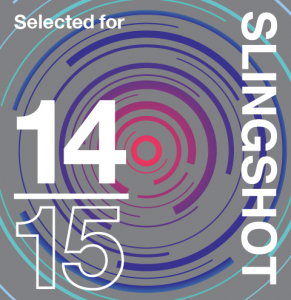 OJA has been selected by Slingshot as one of North America's most innovative organizations.